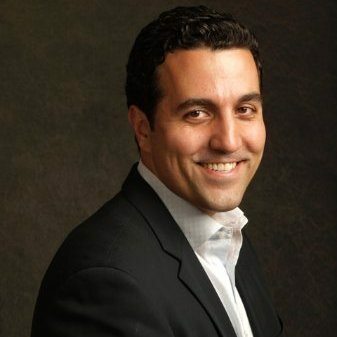 CFO, director of business development and co-founder at Century 21 Redwood Realty Nick Pasquini will speak at Inman Connect New York (January 22-26, 2018, at the Marriott Marquis Hotel, Times Square) about how he approaches business development and relocation services for one of the East Coast’s largest real estate franchise brands. I co-founded Century 21 Redwood back in 2002 with my business partners Edward Berenbaum and Shawn Milletary. I’ve had a focus on financing since the inception of our company, and as the company grew, I took on the role of director of finance, then CFO and director of business development. As the director of business development I oversee our relocation department, which is an integral part of growing our agents’ business. We treat our relocation business as business development where we strive to have our agents use our company-generated business to help build their personal business. I really don’t have a typical day as I wear a lot of hats. I spend about half of my time at our corporate headquarters overseeing our finance department, and the other half doing everything else it takes to run a 12-office, 500+ agent firm, including office renovations, overseeing the relocation department, conference travel, company events, agent interaction, etc. Maintaining relevance in the transaction. With all of the investment and technology being thrown at the marketplace, it can be overwhelming to stay the course and remember that it is all about the client experience. If brokers and agents maintain their value proposition for their clients, no technology or investment will ever supersede personal interaction and excellent client service. We always strive to get better, which means as a company we are growing, innovating and increasing our reputation in the market as a leader. Specifically, we are working on strengthening our leadership team, incorporating company-wide coaching and increasing our ancillary service offering. Want to connect with Nick? You can find him on Facebook, Twitter and LinkedIn.